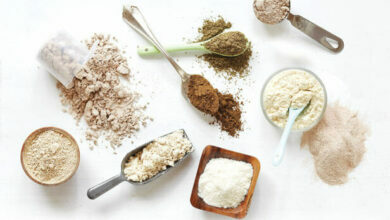 Home/Protein/Animal source protein/Do You Need a Protein Blend? Do You Need a Protein Blend? 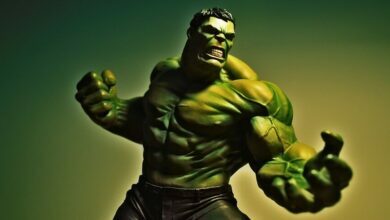 It’s easy to drive yourself crazy trying to keep track of all the latest “expert” advice about building muscle. There are hundreds, if not thousands of so-called “experts”, “coaches” and “gurus” in the world of bodybuilding who will all lead you down separate paths. Each of these people claim that their way is the best way and if you listen to too many of them your head will start to spin. These people write articles, books and do interviews about every topic imaginable and tell people all kinds of things about nutrition, exercises and supplements. If you try to follow all of the advice that these folks give, you’ll soon find yourself in a state of “analysis paralysis”; thinking so much about the latest protein blend or super supplement so much that you never get busy with the important tasks of eating right and working out hard. Many of the people who offer up advice actually offer solid, scientifically backed facts that are very beneficial. It’s not as if everyone in the industry is giving bad advice; there’s just so much information that if you try to follow everyone, you’ll never find out what really works for you. Of course different kinds of exercise routines work well and you should vary your routine from time to time. Sure a protein blend is a great way to feed your body the essential protein it needs to grow muscles, but you need to be on a rock solid eating program too. Don’t get into a state of information overload. Start off your bodybuilding and weight lifting with the basics and build upon that foundation over time. What is a Protein Blend Supplement? If you start eating a diet that is focused on building muscle and burning fat, you’ll find that most of these diets rely on a high protein intake. Protein is essential for building muscle, but there is more than one kind of protein that you need to eat in order to give your body the best shot at getting stronger and leaner. 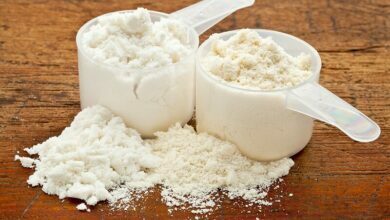 Whey protein has been very popular for the last decade. There have been lots of studies done on whey protein products that show just how effective this particular type of protein is for building muscle. 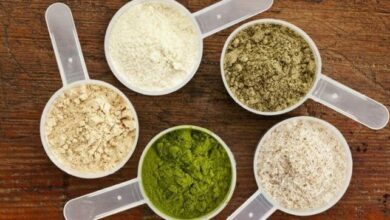 Few products have had such an impact on the world of sports supplements as whey protein and it is easy to see how someone might assume that they don’t need a protein blend when they can get the best protein from whey products. Is Whey the Best Protein? There’s really no way that anyone can claim that whey is the “best” protein. 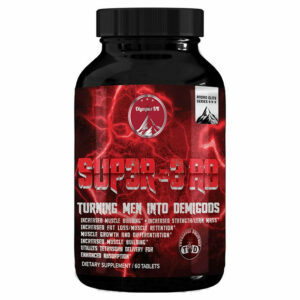 A diet that is designed to grow muscle mass and burn fat has to include a protein blend. Think about the essential vitamins that everyone knows about. Vitamin C is certainly the best known vitamin and it has lots of great benefits. Some people would even say that Vitamin C is the best vitamin. Clearly, though, this is a fallacy. Try eating a diet that has tons of Vitamin C, but none of the other essential vitamins. It wouldn’t take long for your health to take a nosedive. Each essential vitamin is necessary for optimum health. Following a similar though process, whey protein, as good as it is, is not better than taking in a protein blend. There are different types of protein, each with their own, unique properties and benefits. Don’t limit the potential benefits that you can get from other proteins by focusing all of your attention on drinking whey protein drinks. 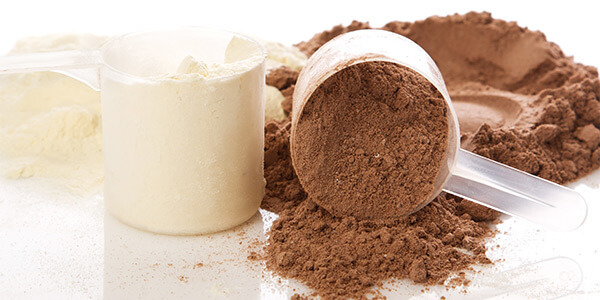 Should whey protein be an integral part of a bodybuilder’s diet? Absolutely! Should it replace all the other proteins that you can, and should eat? Absolutely not. A smart approach to protein intake will include a protein blend that contains several, muscle building proteins. You wouldn’t settle for just one vitamin in your diet, so don’t settle for getting all of your muscle building protein from one type of protein product or food. 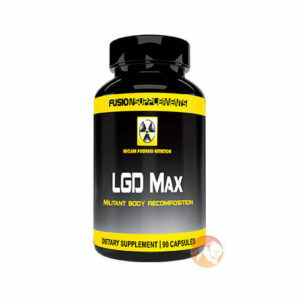 There are some bodybuilding nutrition articles that you need a degree in sports nutrition to understand. 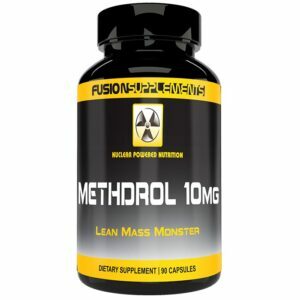 Of course with topics as important as diet, health and nutrition there have to be scholarly folks doing scholarly work, but most of us don’t need to know the in-depth science behind why one type of supplement is better than others. Without going too deep into the science, it is important to know why the body depends on a protein blend to build muscle and stay healthy. 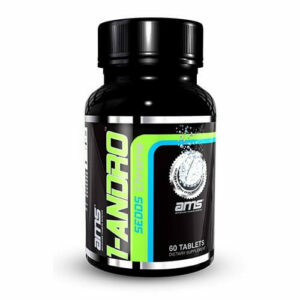 The human body uses amino acids to build muscle tissue. Amino acids are involved in other important processes, but it’s important to understand that only amino acids can be used by your body to repair and build muscle mass. When your body undergoes the stress of a heavy weight lifting session, the muscle tissues in your body are damaged in the process. To repair, rebuild and strengthen these damaged muscle cells, your body depends on a fresh supply of amino acids. Amino acids are derived from the protein foods that you eat. 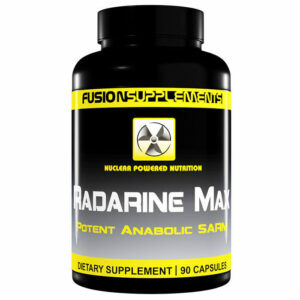 No carbohydrates or fats can be converted to amino acids – only protein. 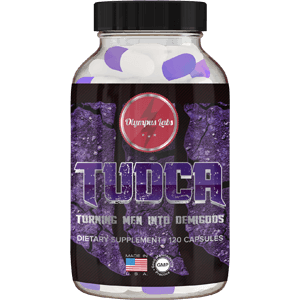 There are several types of amino acids that are essential to building muscle and staying healthy. 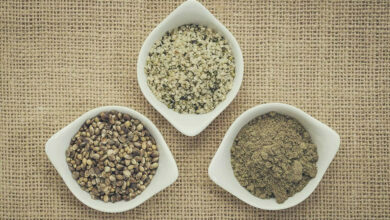 Each type of protein usually only has some of these essential amino acids. That means if you want to get a full supply of all the amino acids that your body needs, you have to consume a protein blend. If you only eat a protein that supplies 70% of the essential amino acids, you are not getting the 100% solid nutrition that your body needs to stay healthy and grow. Popular Types of Protein Supplements – Which to choose? 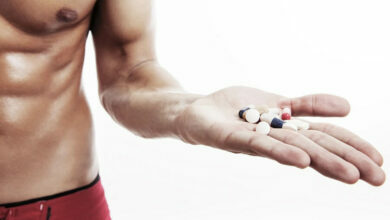 Which Sports Supplements Are Essential?